Nice location for your Starter Home! 2 Bedrooms, 1 bath with big living room, 2 bedrooms (possible 3rd with a wall). 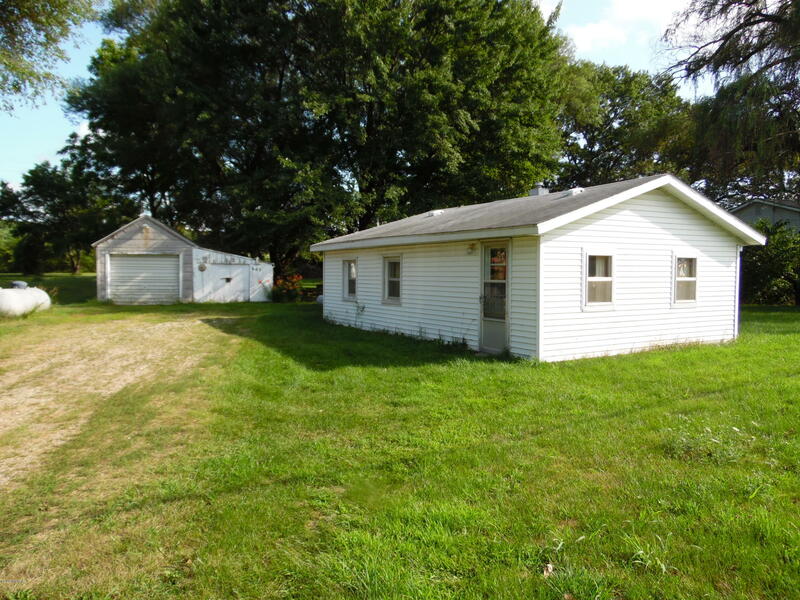 Large garage storage building and a big yard!